GOVERNOR MITCH DANIELS has backed away from a plan to restrict public access to the Indiana statehouse after coming under fire from Democrats and unions. 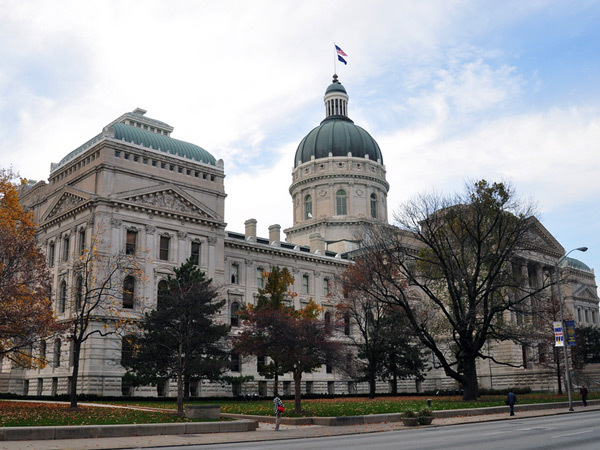 The restriction would have limited to 3,000 the number of people who could be inside the statehouse at the same time (including 1,700 state employees). It was seen as a defensive move in anticipation of large-scale protests against so-called “right to work” legislation that state GOP leaders are attempting to pass. The GOP-dominated legislature had first sought to pass the law last February, but action was postponed after 39 Democratic legislators walked out. When the state legislature convened this year, on January 4, House Democrats stalled RTW legislation by not reporting to the House floor. Unions and other opponents of right to work are ramping up efforts to oppose the measure in Indiana through rallies, phone banks, and contacting state legislators. Boilermakers wishing to participate in these efforts should contact the Department of Government Affairs  at (202) 756-2868 or bmartin@boilermakers.org .